Send some holiday cheer with Quasimodo this year with these delightful greeting card. 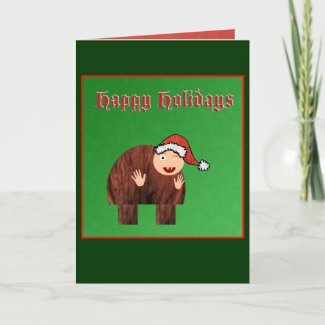 …Of course, it wasn’t until Christmas eve that I had the idea of sending out a Djali card that says, “Have a Holly Djali Christmas.” By then, it was a little late. Feel free to steal that for next year if you like. I wish Hallmark sold this as a musical greeting card that would play “I Heard the Bells on Christmas Day” when you open it! That’s so cute! I know what I’m sending my mom this year.